What is a West Virginia Quit Claim Deed? 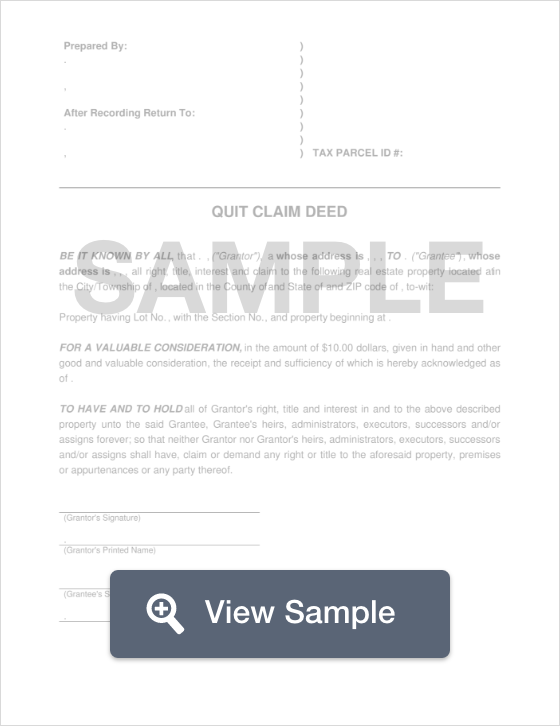 West Virginia Quit Claim Deed: What Is It? In the state of West Virginia, a quit claim deed is used to convey the ownership interest of a house or property from one person to the next. This document transfers ownership interest with no guarantee that the title of the property is clear and free of encumbrances. This means that the ownership interest may be transferred without the buyer knowing whether or not the seller has the legal authority to sell the property or if there are looming issues regarding the title. To ensure that there are no title issues, the buyer should conduct a thorough title search to ensure that the title of a property is clear.